TransAm Trucking’s Road Assist department works around the clock to make sure our company drivers are well taken care of, and our independent contractors have a valuable resource for when they need recommendations or help finding solutions for their equipment issues. The general purpose of the department is to assist our drivers when there is an issue with their equipment. This includes setting up roadside services and tows, as well as assisting with service facility options. However, TransAm’s Road Assist department doesn’t stop there. Jim Paulsen is TransAm’s Manager of Roadside Assistance and has been with TransAm for 18 years. He states that his department’s job is not over when the equipment reaches the shop. In many cases, it’s just getting started. His department’s follow-up communication with the service facilities, vendors and drivers is an important component to getting the equipment rolling quickly. Road Assist constantly checks on our company driver’s equipment if it’s ever in the shop. Within the trucking industry, especially the maintenance facilities, it’s a well-known fact that TransAm’s Road Assist crew will check in with the shops several times a day to ensure that progress is being made to repair the equipment. To expedite the process, Road Assist will also help vendors locate the parts needed to repair our trucks. The most common calls that Road Assist takes involve flat tires, lights, and mud flaps. These issues can be caught and managed by performing thorough pre-trip and post-trip inspections. It’s also important to stay on top of preventive maintenance activities. A well-maintained truck contributes to a driver’s success. 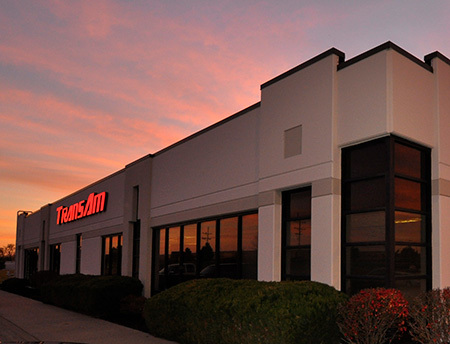 TransAm’s Roadside Assist department is a 24/7/365 operation. There is always someone in the Road Assist office to help our drivers get moving so they can be successful. Road Assist is a talented group dedicated to getting our drivers back on the road quickly. The bottom line is that they care about our drivers.